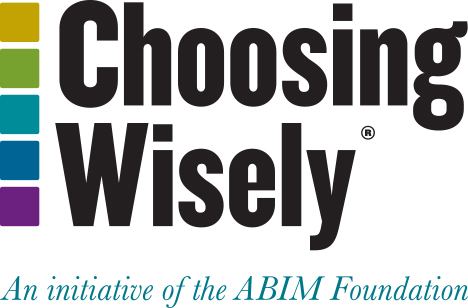 significant contributions to advance the ideals of the ABIM Foundation’s Choosing Wisely campaign by working to reduce unnecessary tests, treatments and procedures in health care. recommendations regarding overused or unnecessary care. Along with geriatrics fellows from Loyola University and Edward Hines Jr. VA Hospital, Dr.
reviews for patients from skilled nursing facilities sent out to the closest ED. with a UTI were all given antibiotics. department providers to review the appropriate indications for ordering a urinalysis and culture. be recognized and proud of what they were able to accomplish. visit www.abimfoundation.org, connect on Facebook or follow on Twitter. patients make wise choices. Learn more at www.ChoosingWisely.org.